The SDGs, adopted by the international community in 2015, and the African Union’s Agenda 2063 require a strong involvement of local and regional governments to achieve their objectives: poverty reduction, access to basic services, enhanced economic development, more inclusive, sustainable, and resilient cities and territories. Many local and regional governments in Africa are not yet fully aware (if at all) of these agendas and their role and potential. Their involvement, however, is essential for the “localization” of the SDGs, the Paris Agreement on Climate and the New Urban Agenda. Implementing these agendas could become an opportunity to mobilize more resources and capacities for local solutions and innovation. 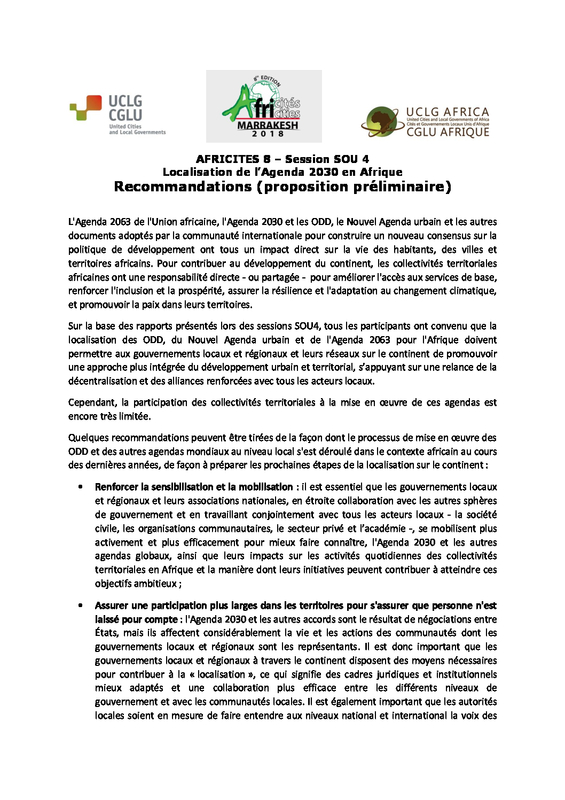 Presentation of different experiences from local and regional governments in Africa, and their national and regional organizations, in support of the localization of the SDGs. 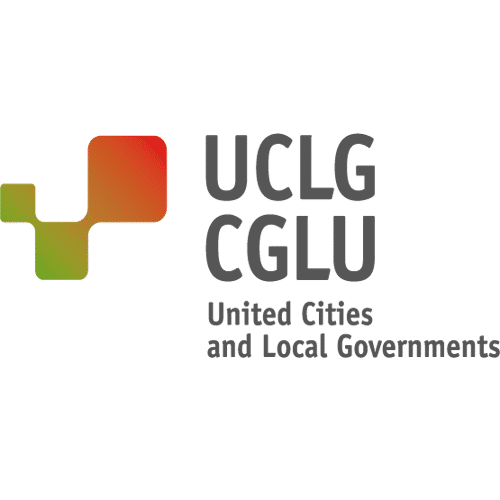 The debate will be introduced by a presentation of the preliminary findings of the Regional Report on the Localization of the SDGs, prepared in the framework of UCLG’s forthcoming Global Report on Local Democracy and Decentralization (GOLD V). 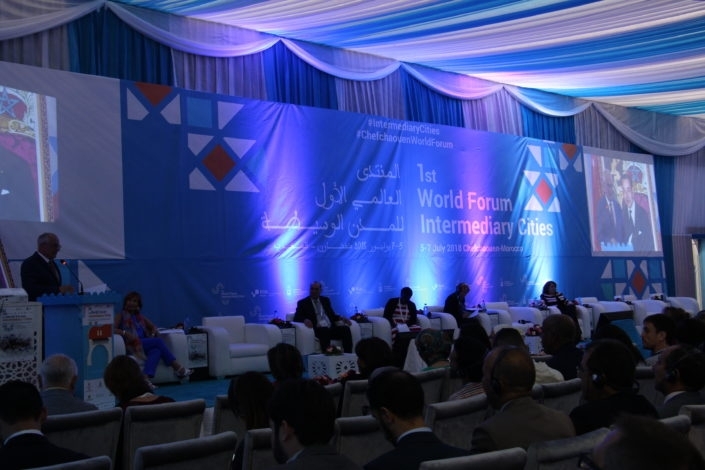 The first part of the Session will be focused on the “enabling environment”, including administrative, financial and political decentralization processes, and the involvement of local and regional governments and their associations in national mechanisms of coordination and follow-up of the SDGs, as well as in the National Voluntary Reviews (20 African countries have already reported to the United Nations in 2016-2018 and 16 countries are going to report in 2019). 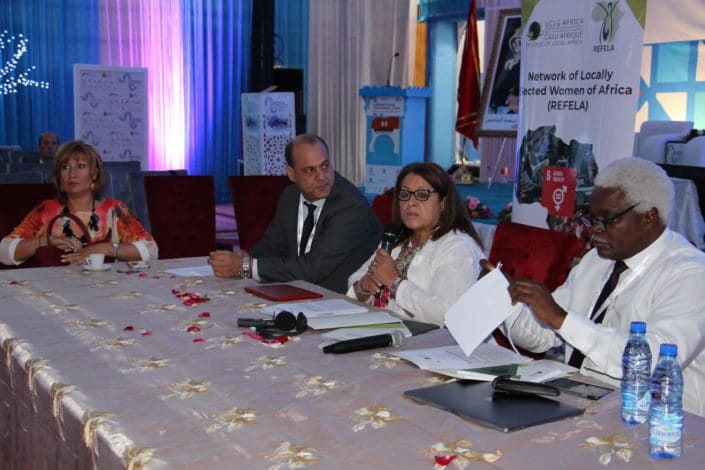 The second part of the Session will be also an opportunity to share what has been done in training and capacity building about the localization of the SDGs, in partnership with UCLG Africa’s ALGA Academy, UCLG’s Learning department and global networks of local governments (AIMF, CLGF, ICLEI). This Session will be organized back-to-back with a dedicated “Leave no one behind by localizing the 2030 Agenda” Session (SOU 37), organized by DeLoG, that will focus more on local governments’ initiatives in support of the localization process; measures to avoid leaving the most vulnerable groups behind; and the improvement of monitoring and data disaggregation. Jointly, the two Sessions will spark a conversation and draw conclusions and lessons learned on potential actions and initiatives to mobilize local and regional governments in Africa; national and regional campaigns; peer to peer learning and decentralized cooperation, as well as support bottom-up monitoring and reporting initiatives. H.E. 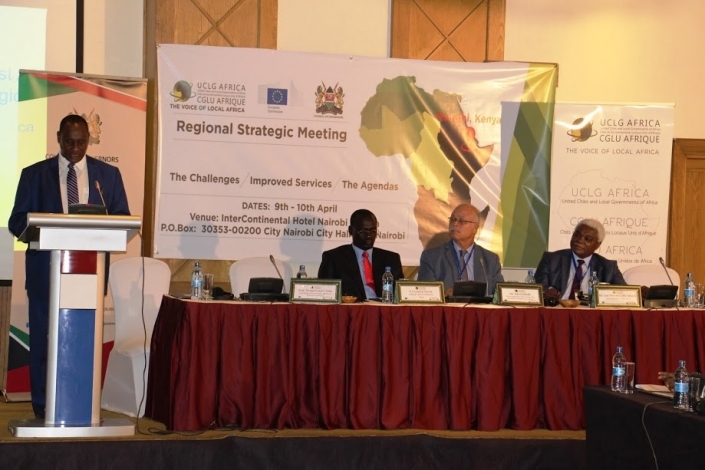 Dr. Wiber OTTICHILO, Governor of Vihiga County, Council of Governors of Kenya (GoK): the collaboration between the central government and the county governments to support the alignment of regional development plans with the SDGs. Ms Nomakhosazana METH, Mayor of Tambo District and member of the Executive Board of South African Local Government Association (SALGA): The South African experience for SDG localization and the preparation of the Voluntary National Review for the 2019 HLPF. Ms. Liza CIROLIA, African Centre for Cities (South Africa): Presentation of the preliminary findings of the UCLG study on Local governments and the Localization of the SDGs in Africa. 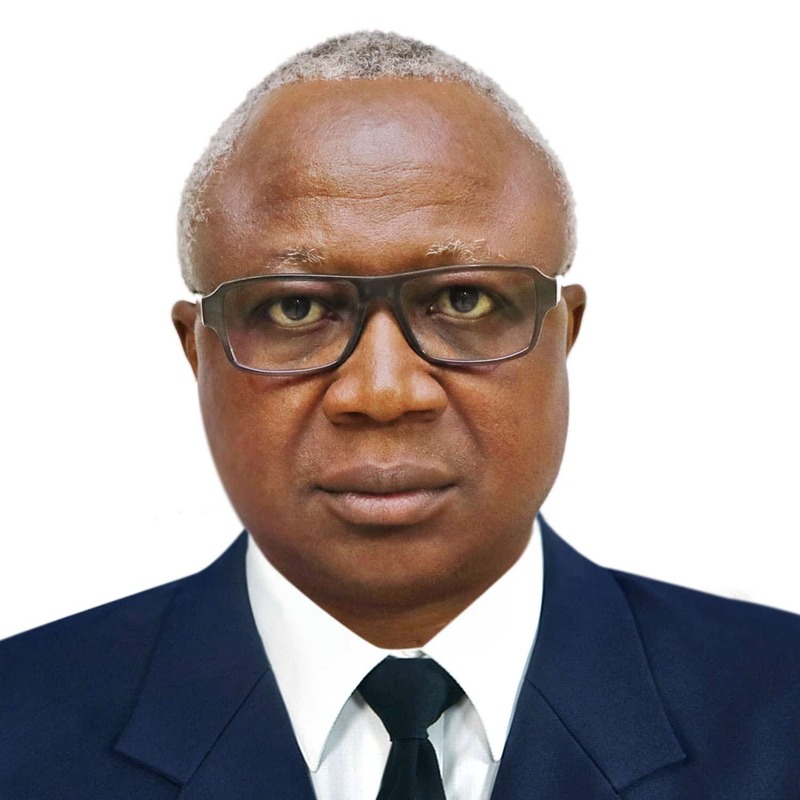 Mr. Armand Pierre BEOUINDE, Mayor of Ouagadougou, President of the AMBF and member of the Bureau of the International Association of French-speaking Mayors (AIMF): studies on SDG localization to support advocacy process of local governments in West and Central Africa. Cllr Innocent UWIMANA, President of the Rwanda Association of Local Governments Authorities, Commonwealth Local Government Forum (CLGF): pilot projects for the implementation of the SDGs. 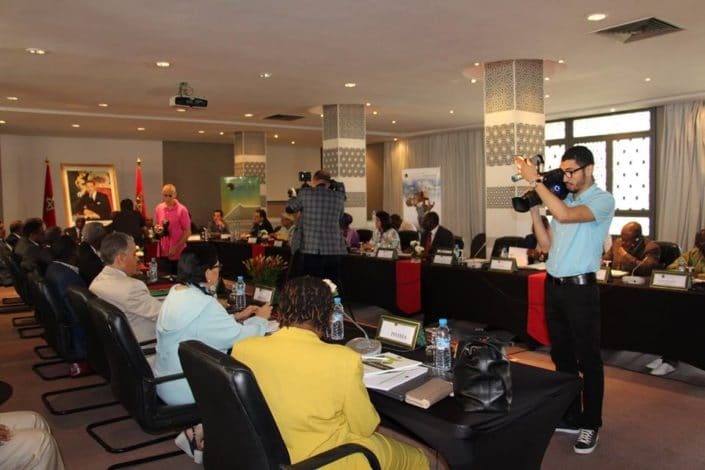 Ms. Najat ZARROUK, Director, African Academy of Local Governments (ALGA of UCLG Africa): stocktaking of the initiatives developed by UCLG Africa in support of the implementation of the global agendas at the local level. 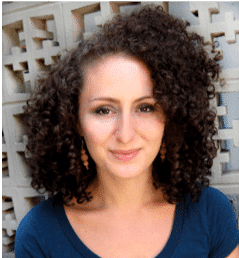 Lisa Cirolia research focusses on Africa’s urban dynamics and covers a range of topics including sub-national finance, urban governance, infrastructure, and human settlements. Seh has worked extensively on housing policy in South African cities. 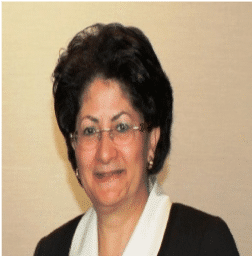 She has conducted in depth research and policy development on the Emergency Housing Programme and temporary relocation areas, the Finance Linked Individual Subsidy Programme and the Gap Market, township residential market development, and the upgrading of informal settlements. Since 2012, Liza Rose has coordinated the Sustainable Human Settlements CityLab. Her work straddles theory, policy, and practice, aiming to be both critical and creative. Ms Nomakhosazana Meth, Executive Mayor of Tambo District and member of the Executive Board of South African Local Government Association (SALGA). Holder of a Diploma in Local Government Law and Administration and in Public Administration (Honours) at the University of Fort Hare, Ms Nomakhosazana Meth has worked in public administration since 2000. Between 2000 and 2014, she successively held the position of local municipal councillor in the municipality of Mbizana, member of the Mayoral Committee of the O.R Tambo Executive Council and chairperson of O.R Tambo Regional Chairperson of the African National Congress Women’s League (ANCWL). 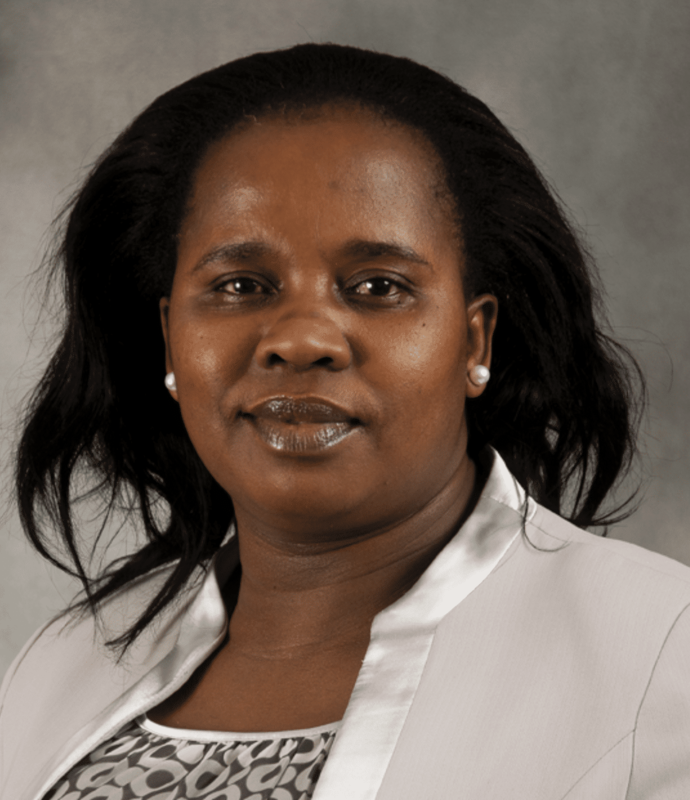 In 2013, she became the Executive Mayor of O.R Tambo District Municipality. She is also board member of the South African Local Government Association (SALGA). 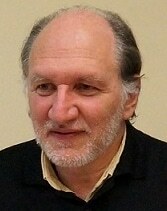 Holder of a master's degree in local development, a master's degree in English and soon a master's degree in fundamental political science, Stanislas Hounkankin has had to manage several projects and programs in the past 10 years, dealing with local economic development, food and nutrition, citizen participation, communication, etc. 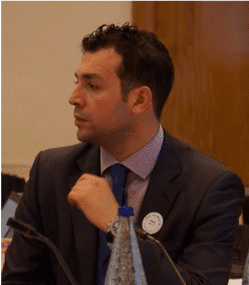 As Rapporteur of the Thematic Commission on SDGs, he coordinated the elaboration of the ANCB roadmap on supporting municipalities in their local ownership of Agenda 2030. Cllr Uwimana Innocent is currently the Chairperson of the Rwanda Association of Local Government Authorities. RALGA. He has been a councillor in Local Government since 2006. 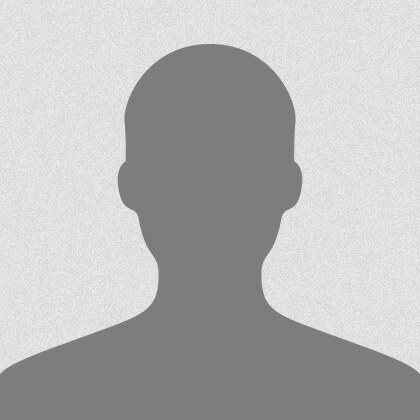 Cllr Innocent Uwimana is also the Managing Director of a private Company, Rwanda Farmers Coffee Company Ltd. The company deals in coffee processing and exporting as well as connecting coffee farmers to foreign markets. 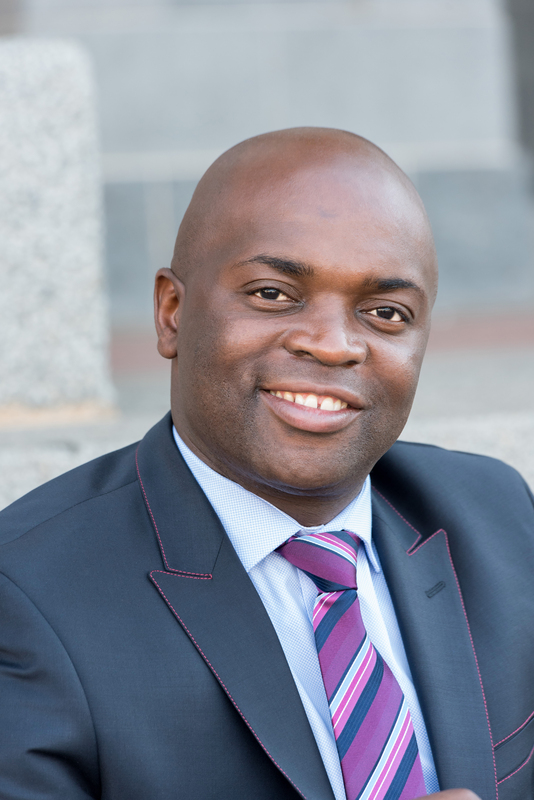 Prior to this, he was involved in business development for an international organisation. The Clinton Foundation for 11 years. 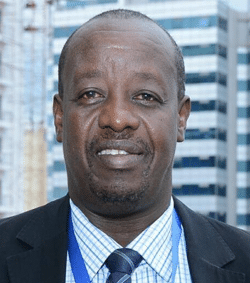 He also served as a Director General of the National Seed Service within the Rwanda Ministry of Agriculture for 10 years.By training, Innocent Uwimana is an Agricultural Engineer specialising in Tropical Agriculture and in Seed Technology. 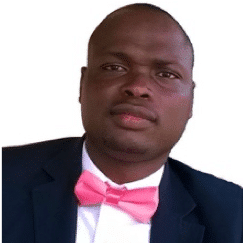 Cllr Innocent Uwimana has extensive experience and knowledge in local governance and decentralisation, community development, business development, agriculture extension services and he is a committed and long serving public servant. He was elected Member of Parliament for Emuhaya Constituency in 2008. He hails from Emanyinya village, Emusire, in Central Bunyore. 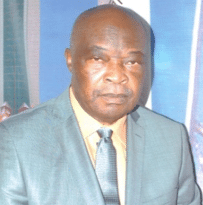 He obtained his doctorate on Natural Resource Management and Space Science from the University of Wageningen and International Institute for Earth Observation and Geoinformation, The Netherlands. 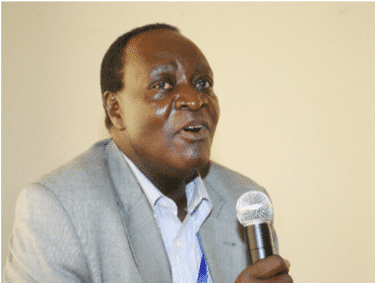 Prior to becoming the MP for Emuhaya, Otichilo was the Director General for Regional Centre for Mapping of Resources for Development (RCMRD), an agency of United Nations Economic Commission for Africa (UNECA). What are the key policies and actions that are being implemented by your city, county or association to contribute to the ‘localization’ of the SDGs? What is your national government doing for the implementation of the SDGs? Are these strategies having any impact on local governments’ institutional context and, specifically, on the relationship between national and subnational governments? What would local and regional governments and your organization need in order to support the ‘localization’ of the SDGs? 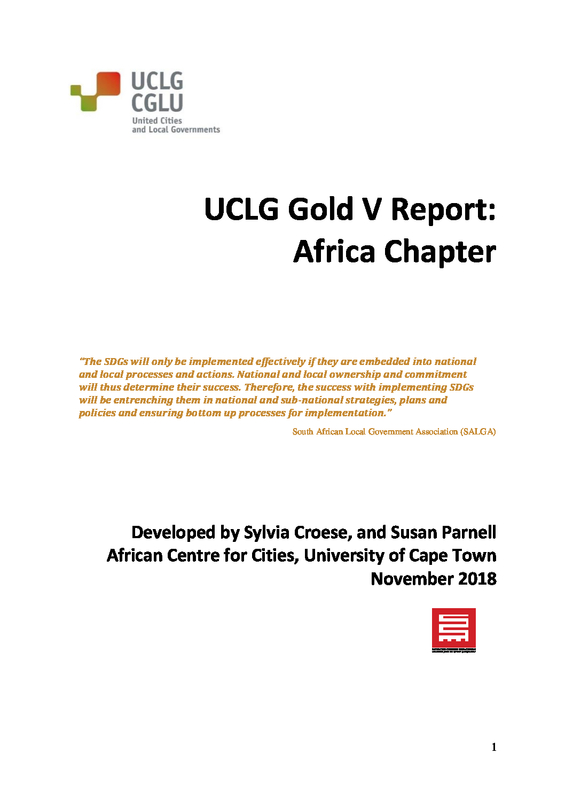 What could UCLG Africa/UCLG and other local government networks do to better support the localization process, and in particular through training and peer-to-peer exchanges?